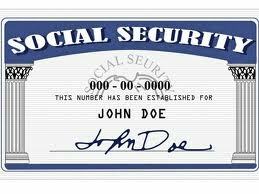 Social Security is the cornerstone of retirement security in the United States today. A third of Americans depend on the program for almost all their retirement income; without it, one-in-five would have no retirement income. But the program so many depend on simply cannot afford what it promises today’s workers and faces a shortfall of more than $13 trillion over the next 75 years. Reforms are desperately needed. The number of Social Security beneficiaries is growing faster than the number of workers sup­porting them — the number of elderly will near­ly double between now and 2034 (38.6 million to 74 million) while the number of new workers will only increase 16 percent. – People are living longer and collecting more Social Security benefit checks: In 1940, life expectancy was 61.4 years for men and 65.7 for women. By 2000, life expectancy was 74.0 years for men and 79.4 for women; by 2050, life expectancy will be 80.0 years for men and 83.4 for women. – Fewer children are born each year: For each generation to be the same size as the one before (the replacement rate), women must have 2.1 children. In 1940, the fertility rate was 2.23. Today, the rate is 2.01 and by 2035 it is expected to trend downward to 1.98. – In all, the program faces an unfunded liability (the amount Social Security promises in benefits above what it will collect in taxes) of more than $26 trillion. – To shore up Social Security’s financial shortfall, the government must increase the program’s income (raise taxes), decrease expenses (reduce benefits) or find a new source of funding.